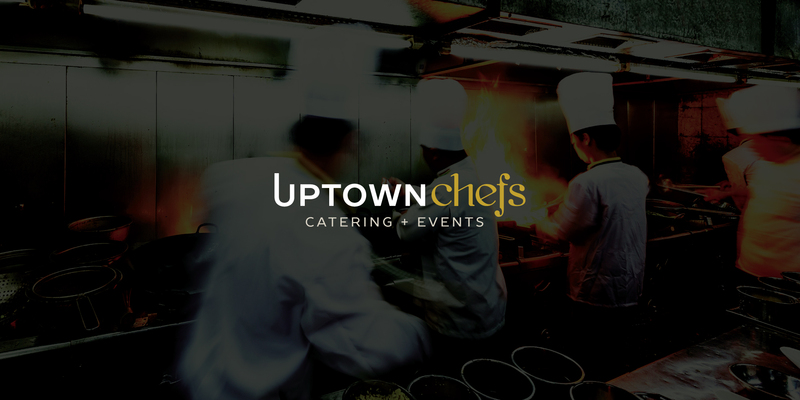 Uptown Chefs Catering + Events is a full service catering company servicing Kamloops and the surrounding area. 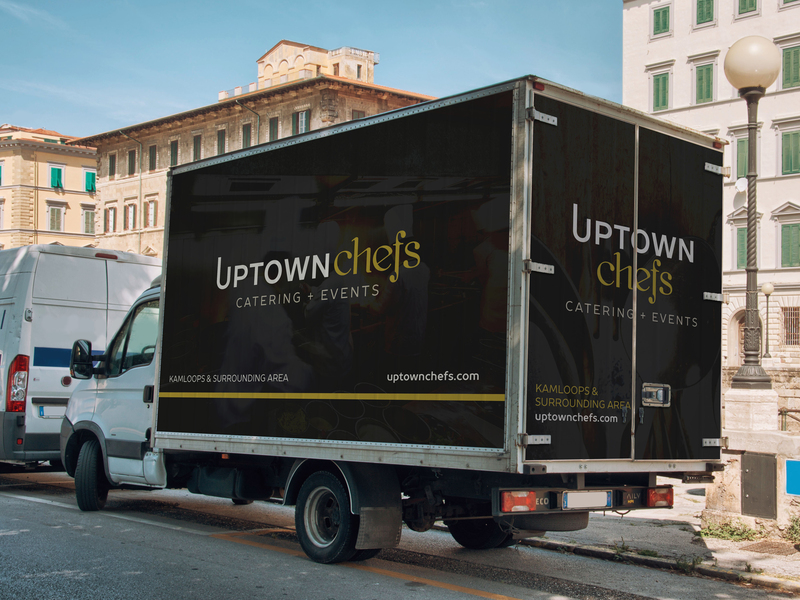 They not only offer food service for any event, wedding, corporate function, or BBQ, they can also assist clients in finding the perfect venue as well as provide linens, glassware, and a high level of customer service for any event. The team at Fresh Inc. had the opportunity to create various materials for the company as they set up their home base in the Coast Kamloops Hotel and Conference Centre. 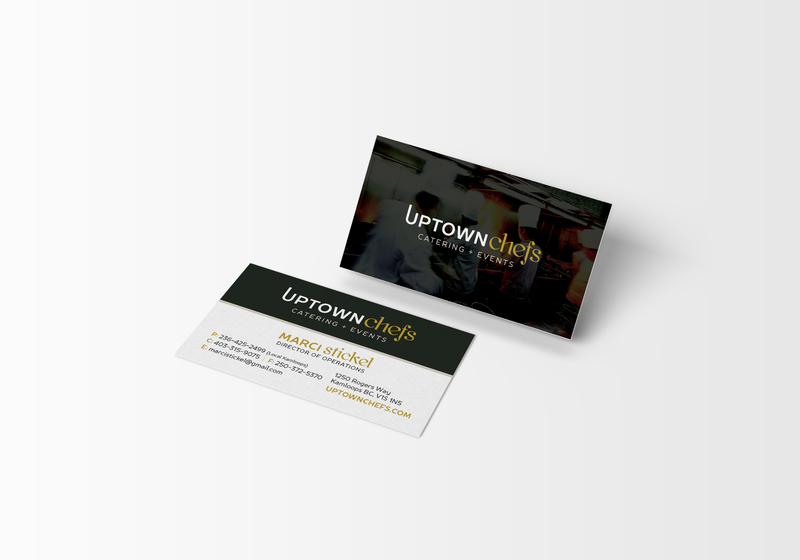 The client wanted the brand to have a fresh, fun, and modern look, but also wished to keep the look consistent with their permanent restaurant located in the hotel, Romeo's Kitchen + Spirits. 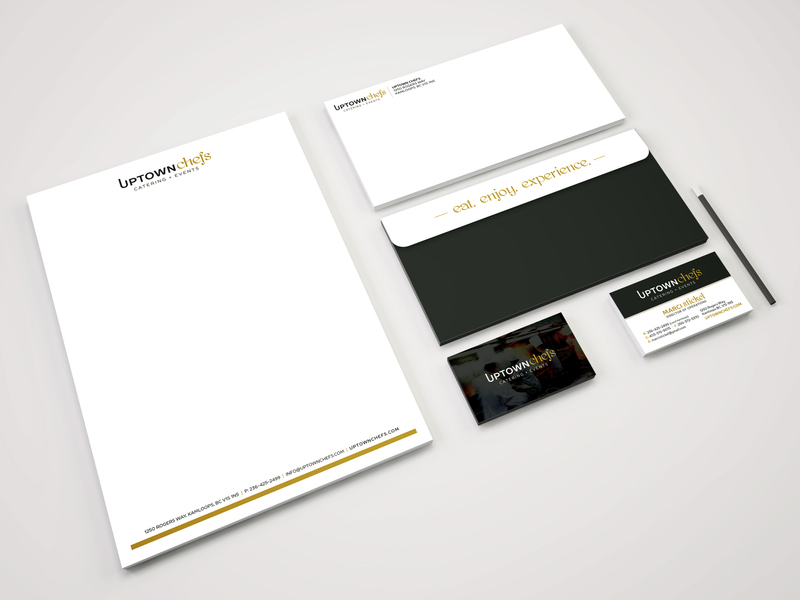 The wordmark logo features a bold, custom edited san-serif font complimented by a funky, calligraphic serifed font. A modern and sophicated colour palette incorporates a classic black and tones of gray, with a pop of vibrant, saffron yellow. The brand, much like their food, has a classic feel with a funky twist! Work included: the logo and brand, business staionery, rack cards, pull-up banners, and cube van decal creative.